We are pleased to announce that LTSA's affiliation to the ASA and registration at the Charities Commission as a Charitable Incorporated Organisation (CIO) have now been completed. LTSA's Registered Charity Number is 1166296.
the junior intercounty gala on September 19th at Luton Sports Village. LTSA would like to say well done to Courtney who has been selected to represent LSST swim team and will be competing on Friday. 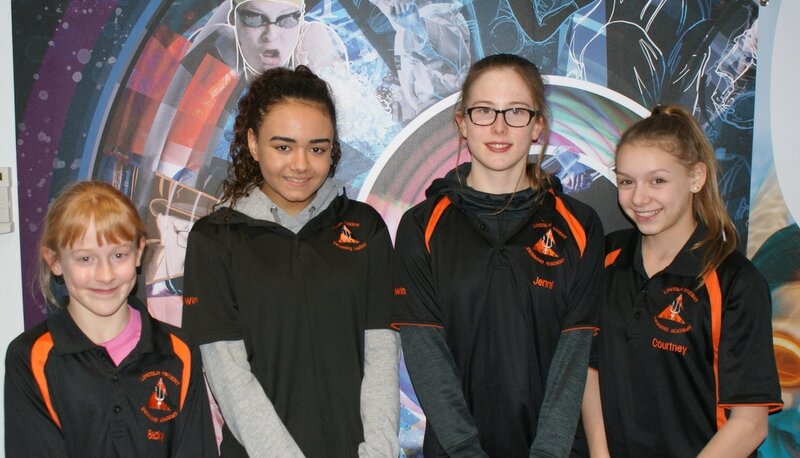 ​Well done to Becky, Teah, Jenni and Courtney at Trident's first County Champs. The girls represented themselves and Trident with professionalism and very competitive and high quality swimming. They were competing against 9 other clubs from across Lincolnshire who had some very talented swimmers. There were naturally some nerves but these were over come as the weekends went on. It was a steep and valuable learning curve for all four swimmers. Jenni managed to qualify for the finals in all five events she competed in and achieved some fantastic pb in all her swims which where 100IM (pb 6sec), 100 freestyle (pb 1.5sec), 50 freestyle (pb .99sec), 50 backstroke (pb 1.1sec qualified for Midlands) and the 50 fly (pb 3.5sec). Jenni won the 50 freestyle Championships (14yrs), came second in the 50 backstroke and came fourth in the 50 fly, 100 IM and 100 freestyle. Her sister Becky also made the final in her 50 freestyle (pb .6sec) in the heats and had a very solid swim in the final and came sixth place overall in her age group. Courtney who had two swims 50 and 100 breaststroke and had a very good 100 breaststroke (pb 2.5sec). Teah had a total of five swims 200 freestyle (pb 6sec), 100 freestyle (pb 5sec) 50 freestyle (pb 3sec) and made the final and finished in 8th place, 100 breaststroke (pb 4sec) and the 50 fly. Well done to you Jenni on an already amazing season she capped it off with a great 50m fc swim this morning at her first English Nationals. It was a big step up in the class of swimmers but Jenni's performance was fantastic, even though there were understandably some nerves Jenni managed to improve on her placing with a time of 28.81. Thank you to all Jenni's family who came to support her and a big thank you also to Courtney who came and cheered Jenni on. What a great end to the season. 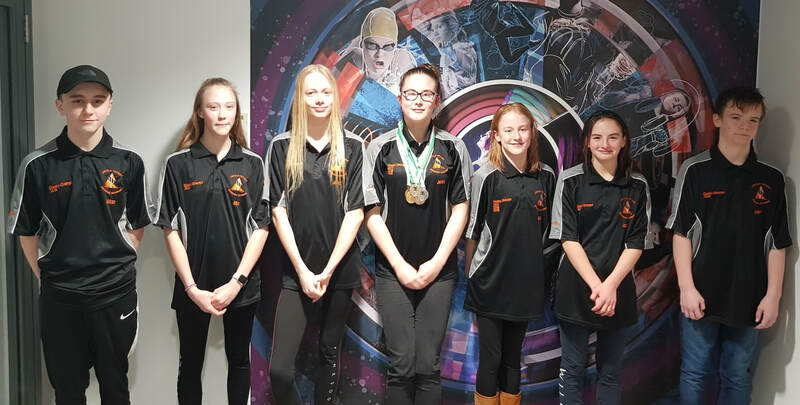 Bringing a great season to an end, Jenni had again qualified for the English Nationals, this year qualifying for three swims : 50m free, 50m backstroke and the 100m free. The confidence that Jenni had grew over the week Qualifying for finals in both 50m free and 50m backstroke, she finished a very close 4th in the front crawl, just 0.04 sec behind first with a 27.35 a new pb, and 7th in the backstroke with another pb of 31.48. Jenni just missed out on her pb and another final in the 100m free. 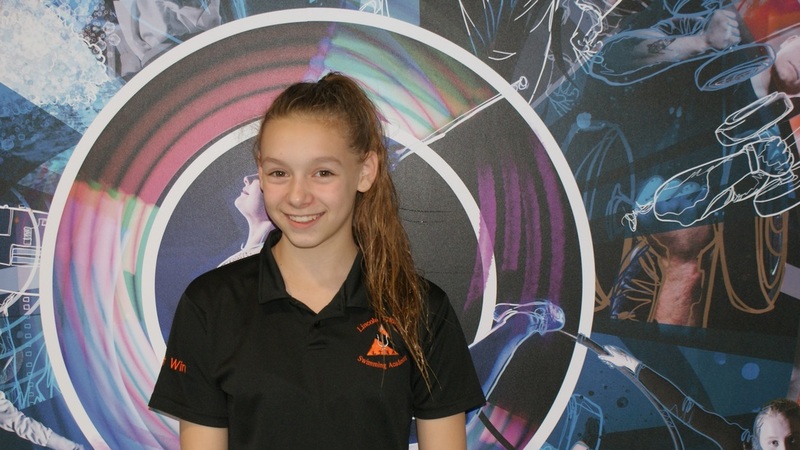 Jenni is now ranked 16th for 50m free, 31st for 50m backstroke and 38th for 100m free in Britain, and her new pb for the 50m free also qualifies her to compete in the 2019 Edinburgh International Swim Meet next March.